This week I simply am providing you all an article from Bloomberg from 6 weeks ago. The Architect of Fisker now has performed the math to correlate carbon to sub prime loans. Oh yes Al, the Chinese who have increased their carbon emissions four fold in 15 years have no economic activity. The Greeks who have not increased their carbon emissions over the same period have a wonderful economy. Yes Al you did invent the internet! Yes Al you did a great job as Vice President! Yes Al you deserved your Nobel Prize. And yes Al you managed to make mega millions without even buying a lottery ticket by being so green. I hope you all get the same chuckle I did in reading the article below. PS does David Blood have green blood? Also as he was from Goldman Sachs how did he fare in the subprime crisis? Feb. 16 (Bloomberg) -- Former U.S. Vice President Al Gore said investors in oil and gas companies who ignore the cost of emitting carbon dioxide and other greenhouse gases are making a mistake similar to those who invested in subprime mortgages. Gore made the analogy as Generation Investment Management LLP, the asset manager he founded with former Goldman Sachs Group Inc. executive David Blood, published a five-point plan titled “Sustainable Capitalism” to reform the investment industry. They want the proposals to help combat climate change and poverty as well as boost profit in the long term. Gore and Blood recommended investors identify “stranded assets” whose value would change significantly under certain scenarios, such as a price being set for carbon or for water. Second, they said investors should use environmental, social and governance data as well as financial data to value companies. Third, companies should end quarterly earnings guidance to remove pressure for short-term gains. Fourth, companies should reward managers for long-term performance, and fifth, investors should be rewarded for holding shares longer with “loyalty- driven securities,” Gore and Blood said. “The bitter experience that the subprime mortgages caused should be a reminder that stranded assets have the potential for doing a great deal of damage,” Gore said in a video link between Generation’s New York and London offices. The firm manages about $6.5 billion. 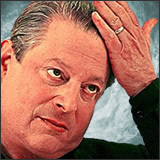 Gore, a Democrat who won a Nobel Prize in 2007 for his efforts to raise awareness of climate change, said the “absurd assumption” that he sees underpinning energy stocks may collapse in the next decade. Gore said energy companies also aren’t properly valuing the water resources they use for hydraulic fracturing, or fracking -- technology that releases gas trapped in shale rock by injecting water, sand and chemicals underground. Gore’s comparison of carbon and subprime debt comes a month after a group of U.K. investors and environmental campaigners wrote to Bank of England Governor Mervyn King urging a probe into whether the U.K.’s holdings of investments in greenhouse gas-emitting industries poses a risk to financial stability. The U.K. government in 2006 published a now widely cited study by its top climate economist at the time, Nicholas Stern, which said spending 1 percent of economic output on combating climate change could avert future expenses of between 5 percent and 20 percent of gross domestic product. Gore and Blood said adoption of their proposals was necessary to restore public faith in capitalism, which they said had been eroded during the financial crisis, in which taxpayer funds were used to bail out banks and insurance companies. Gore's comments are tied to his concerns about climate change. This is a terrible risk for future generations all around the world and has nothing to do with capitalism. It would be encouraging to see our govenrment recognize this risk and pass a carbon tax so that dirty forms of energy would be penalized. What is it that makes it so difficult for Republicans to invest in a healthy future and to take climate sciencee seriously? I would say it is mainly oil money. Lindsay Leveen wants his readers to think of him as a particularly smart guy. Notice how he refers to himself as “frighteningly bright” (quoting other people purportedly talking about him) in the contributors’ section of his blog. While I agree with part of his self-assessment, unfortunately Leveen prefers to use his intelligence to mislead and distort basic energy issues. He simply refuses to discuss the relevant issues, preferring mockery and personal attack to scientific analysis. Let me explain. Leveen claims to be a “thermodynamicist.” What self-respecting thermodynamicist would write endless verbiage about the politics of energy without ever addressing the possibility of adverse consequences due to the build up of greenhouse gases in the atmosphere? Leveen gets an “F” on the “Energy 101” exam because either he missed the question or worse, is intellectually dishonest. We know that CO2 levels in the atmosphere have been rising steadily. 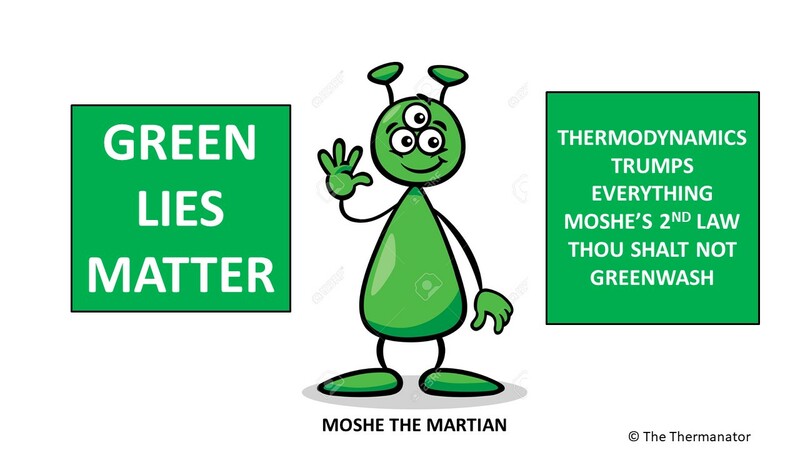 The question is: Will the build up of green house gases and the associated heat transfers (both direct and indirect) lead to climate change and if so, to what effect? Will climate change sensitivity turn out to be 2.5 to 4.0 degrees F. (current estimates) for every doubling of CO2 levels in the atmosphere, or perhaps zero (in which case Leveen is right and we can justify buying the cheapest available fossil fuels based on energy density and burn them to our hearts’ content)! 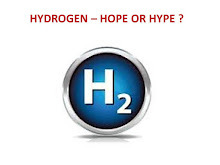 The answer to this question based on honest scientific inquiry will suggest a path forward for our energy policy. Blow hard sophistry sheds no light whatsoever on this critical issue. Here’s a link to an article that frames the climate sensitivity issue that Leveen never told you about: http://www.newscientist.com/article/dn21212-co2-may-not-warm-the-planet-as-much-as-thought.html. In his remarkable new book, “Quest,” Daniel Yergin readily acknowledges that most climate change scientists believe that global warming is real and that human activity is a significant contributor. These are scientists not liberal arts majors that Leveen loves to hate. What if it turns out that climate change sensitivity to greenhouse gas buildup is fairly high? If 10 or 15 million Bangladeshis die on the flood plain in a few decades, climate change deniers like Lindsay Leveen will bear some measure of responsibility for the tragedy. Rather than conservatively considering the science of climate change and urging caution and reduction of fossil fuel emissions, Leveen just prattles on – empty headed – talking about today’s price of this or that fossil fuel. In reality, Leveen is a riverboat gambler and worst of all, he isn’t gambling with his own life and well-being, he’s gambling with the lives of millions of extremely poor people living on coastal plains around the world. If you dare to disagree with Leveen, brace yourself for a scathing personal attack. Let’s see if Leveen is capable of providing an analysis of climate change sensitivity or regresses to his usual bombast.